Nelson revealed that he will be rooting for Maia when he takes on Tyron Woodley at UFC 214. 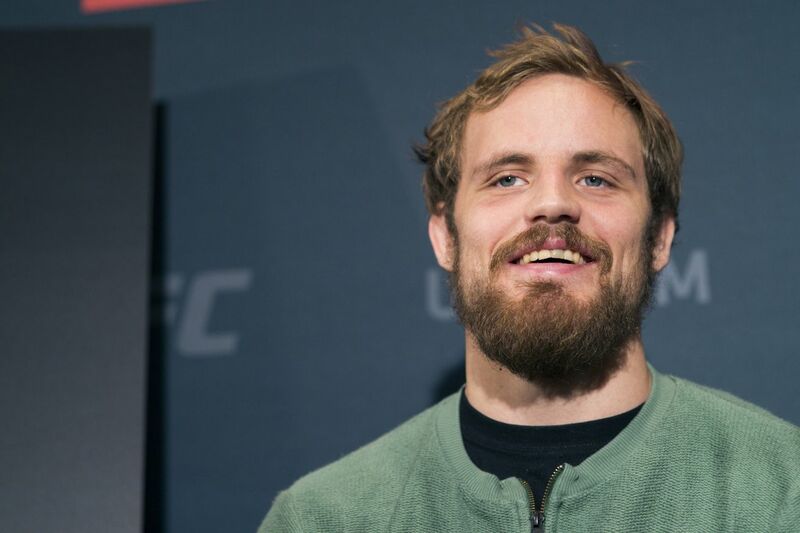 Gunnar Nelson admits that he was hoping for a bigger opponent ahead of this Sunday’s UFC Glasgow card, where he will meet Santiago Ponzinibbio. Nelson, who is coming off a win over Alan Jouban at UFC London in March, claimed that the UFC told him he would get a “top-ranked” or “top 10” opponent after beating the American, but nobody was available to take the July 16 bout against him. “We were thinking that we would get a top-ranked guy or a top ten (fighter) at least,” Nelson told Ariel Helwani on the latest installment of The MMA Hour. “That’s what (UFC) was trying to get us in London. Then they said I was fighting Jouban and then after that, they said that they would definitely give me a top ten guy, or top ranked guy, or whatever. Although he did not secure an opponent in the higher echelons of the welterweight division, Nelson said he wasn’t concerned about facing Ponzinibbio instead. “No, not really,” said Nelson, when asked if he struggled to get motivated for the Ponzinibbio fight. “You know how I am, I’m not really that fussed. I definitely would’ve liked to get a top ten (opponent), but when you realize it’s out of the picture or (UFC) said it wasn’t going to happen, or there were some people injured or they just didn’t have anyone for me, I just took him. Again, should he have his hand raised at the SSE Hydro, Nelson will look to for a matchup at the top of the bracket. The Icelandic submission ace also stated that he has “a little dream” of a rematch with Demian Maia, which would ideally be contested for the UFC’s welterweight title. “Anyone in the top ten or preferably, anyone in the top five. As I’ve said before, my mind doesn’t really work that way. I don’t really put faces on my opponents anyway. I just want to face the top guys. Nelson believes Maia has the tools to beat welterweight champion, Tyron Woodley, when they clash at UFC 214. John Kavanagh was petitioning for Nelson to meet Stephen ‘Wonderboy’ Thompson after submitting Jouban in March. ‘Gunni’ confirmed that Thompson was another opponent that appeals to him. “Yeah, definitely. I would love to fight him,” he said.